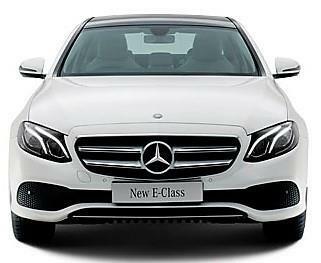 Mercedes Benz will recall up to one million units of its C-Class, E-Class, GLA, GLC and CLA due to potential fire risk. The models that are under consideration were built in between 2015-2017. The documents filed to the US government states that the car that doesn't start at first few attempts will led to the overheating of starter motor and could melt few other parts. The problem was under investigation from June last year by Mercedes Benz. Although there have bee no reports of injury, there has been 51 cases of fire breakage and 30 were registered alone in the US only. The company states that they will notify the owners and an hour of the presence would be enough to replace the parts with the right ones into the cars. All of the changes to be made would be free of cost to the owners. The whole process is expected to starts around July 2017 and would end up soon with full company efforts. The new fuse that will be fitted among the set of electrical components would help ending the chances of fire if the problem persists. 3,07,629 units out of the million cars are from US while there are 75,000 affected cars in the UK. However, there has been no report of any loss in the country.